It's the most wonderful time of the year! At least that's what the song says. Christmas is supposed to be a time of peace, joy and reflection. A time when you gather with the ones you love the most and celebrate the birth of our savior. It's also a time when we get to hunt for for the perfect treasures to give the people we love. Gift giving can be wonderful, but our family began realizing we were spending a lot of money of gifts we hoped others would like or use. We were stressing at the mall and big retail stores and breaking the bank all at the same time. I have 2 siblings- a brother and a sister, growing up we spent Christmas at our grandparents house with aunts, uncles, and cousins. We always brought gifts for everyone. When we were young, we wanted in on the gift giving but unfortunately an eight year old's budget just wouldn't cut it. Instead of buying gifts, we would make something or dig to the bottom of our toy box and find something we thought was the perfect gift. My memories of those times are precious! We would gather in the living room with the familiar scents and sounds of cookies baking, fire crackling in the fire place, carols playing in the back ground, and the laughter of our family as we went around the room and opened the gifts one by one. As time went on and we grew, our family also began to grow. My sister, cousins and I got married and begun having children. We were still bying gifts for everyone- because to whom do you not give a gift? However, that was getting very expensive and stressful. We decided to get creative. The hunt was on, I started digging through thrift store shelves and racks searching for the perfect treasure. It was amazing what I started finding. Instead of junk, I was buying designer clothes with tags still attached, vintage dresses fit for a queen, beautiful antique dresse, books in perfect condition, pictures, serving dishes, silver spoons and on and on. I was having more fun than ever! It reminded me of the times when I would dig out the perfect toy from my toy box. I was gift giving from the heart. When Christmas finally came, we were giddy with excitement. We couldn't wait for the other to open that "one gift". We had so much fun, in fact, that we decided to start a new tradition. We realized you do not have to spend a lot of money to have the perfect christmas, I would much rather get a gorgeous tarnished antique than something new and shiny any day! The joy came when we stepped back and put a lot more thought into our gifts. What a great thing to do! My husband and I have a limited budget this year for gift giving and I am going to go to thrift stores and use Craigslist to help me stretch the little amount I have. Men are tricky though, mine likes electronics and gadgets- hopefully I will be able to score some deals still! Awe I love this Terri. Its like the Grinch who stole Christmas, when you focus on the deals, the trends and the sales you miss so much about the spirit of Christmas. The quiet setting you described by a crackling fire is what I want for my kids and family. You've also given me a new perspective on garage sales. Maybe it isn't such a bad thing to give a gift from a garage sale. This is great. We have been working on teaching our kids about the spirit of Christmas. What a great idea. I love thrift stores and could spend hours in them finding treasures. This is such a wonderful idea! I should do this with my kids. We've been working at giving back and this would be great! I can relate to SO MUCH OF THIS. We've decided to do recycled gifts for many of our presents this year. Things handed down from friends or older siblings. It's working out really well so far. I teach the kids that if they want to give to their siblings, they don't have to be new. Getting things at yard sales etc is fine to do. So, they swap gifts at Christmas and they have to be second hand items. Love family traditions! The adults in our family(my husband and I and my siblings and their spouses) do the white elephant gifts. We have a theme each year,with a $20 limit(household accessories, small appliances, etc.) and the kids(1st cousins) pick names and buy each other gifts. I absolutely LOVE this time of the year also...I mean, who doesn't! 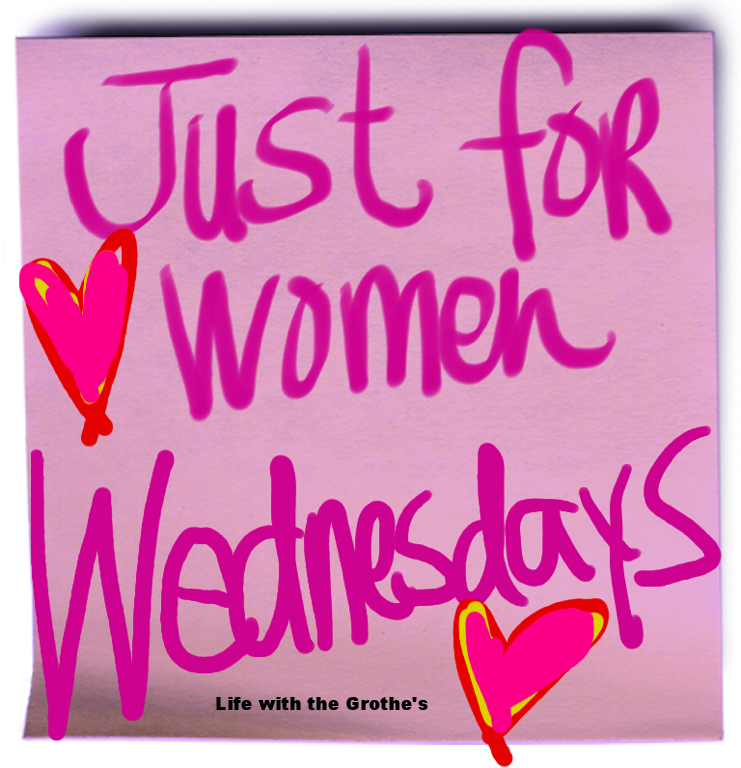 Dropping by from the "Christian Women Bloggers" group! Really a great idea. We have planned a limited budget for this year. I think this would definitely help me. I love the thrift stores and recycled gifts idea as well. Thanks for sharing. Sounds like you had a wonderful time and what a great tradition to start! What a cool tradition to have! I think it's a perfect way to make the Christmas last the year around. I just love buying and finding gifts for everyone but my economical situation doesn't agree with it. Thank you for the idea!